I treated myself to some Easter shopping today. Not at a yard sale or thrift store. But at one of my favourite shops, Bed Bath n Table. There wasn't a sale or any sort of discount, and no I didn't have a voucher either. But who could go past these gorgeous Easter treats! Firstly, I picked up these adorable little chippy ceramic bunnies. Aren't they sweet. Then I just couldn't possibly go past this gorgeous lace design egg. Then I noticed this pretty little ceramic trinket box. Perfect for all year round! And this sweet little hanging ceramic birdie. I'm sure I'll find a special home to hang this little fella. I've also been keeping an eye out for some specked eggs, and came across these ones. The larger ones are styrofoam and the smaller ones are made of wood. They will look divine in a little nest. Look at that sweet bunny face! 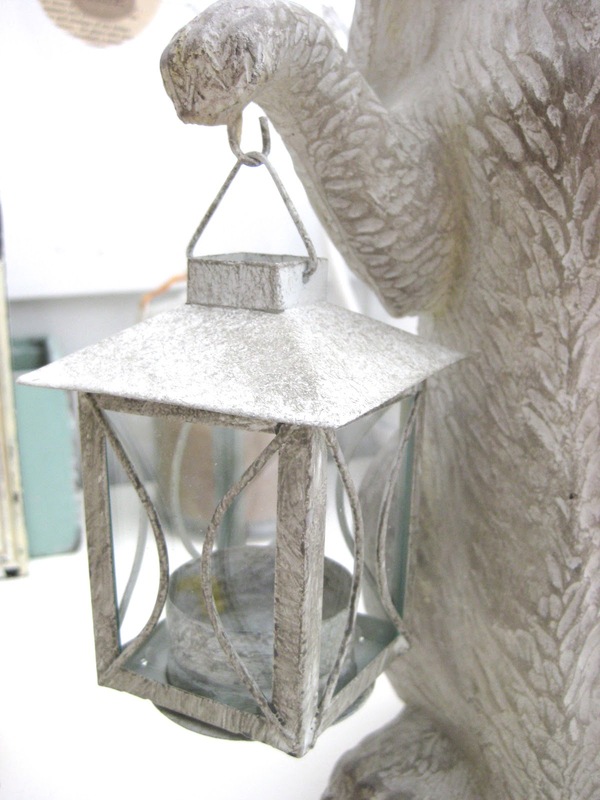 And his little lantern can hold a tea light candle too. What sweet Easter decor! LOVE that rabbit and those little specked eggs! Wow you found some really cute treasures for Easter Decor. I love the bunnies face too. How could you pass him up with the cute face!!!! I love the speckled eggs too. I love your fun Easter items. Everyone deserves to treat themselves once in awhile. 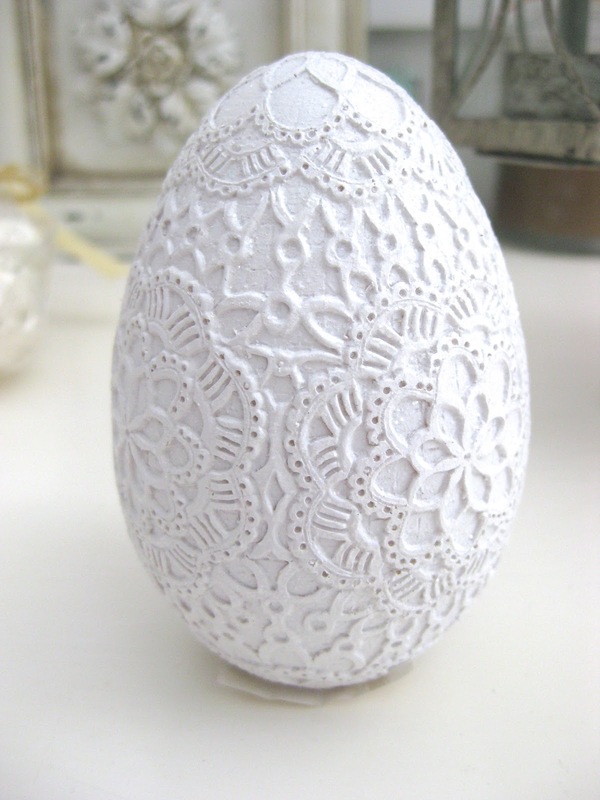 Love that lace egg! What great finds for Easter. I just love that ace egg and the rabbit holding the lantern. Great stuff. 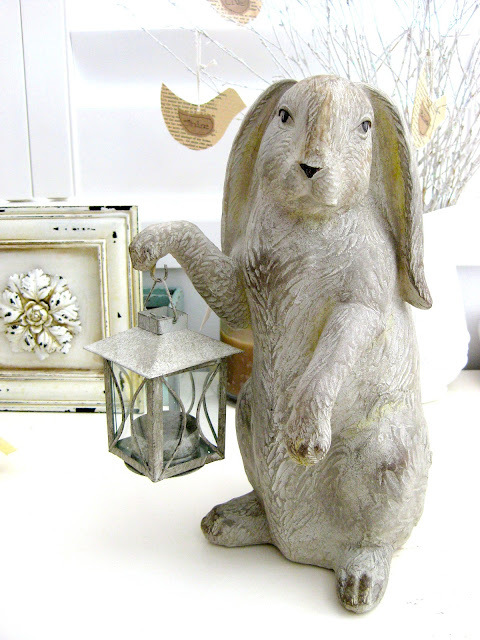 Your Easter vignette is adorable. Love your big rabbit.